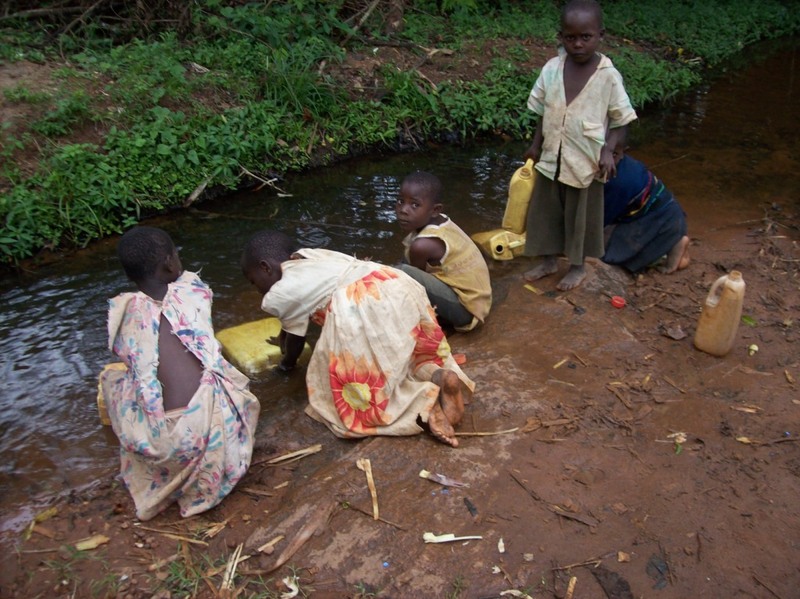 The supply of clean water to area residents is a huge issue for Kirucodo as the vast majority of the population get their water from open sources such as streams, many of which are polluted & distant from the households. Providing safe & clean water across the area is a high priority area for us & is the subject of a major project we want to commence in 2012. As we have explored ways to provide solutions, we recently received information from the “Tools with a Mission” organisation in the UK which contains plans for 1500L water storage tanks which can be constructed easily by local volunteers. This information has excited us as the tanks seem to be a very good solution that is fairly easy to implement using local volunteer labour. These tanks have been built in many locations in Africa, including at the nearby Bethany Christian Centre & Orphange – so we know they can work for us! We are just starting on a project where we will build an initial tank to make sure that we understand the details & complexities of construction. Once that has been completed we will grow the project to provide solutions to area residents. As with all infrastructure projects, the costs are high & out of reach of the local population, so we will be seeking donations to assist with the purchase of materials to build the tanks. We are collecting information to determine the cost to construct a tank & once this is complete will commece building the initial tank as soon as we have sufficient funds. Watch for updates as we move things forward & if you would like to contribute to help get hte project started, please contact me – all donations are much appreciated!